Explanation: Big, bright, and beautiful, a Full Moon near perigee, the closest point in its elliptical orbit around our fair planet, rose on August 10. This remarkable picture records the scene with a dreamlike quality from the east coast of the United States. The picture is actually a composite of 10 digital frames made with exposures from 1/500th second to 1 second long, preserving contrast and detail over a much wider than normal range of brightness. 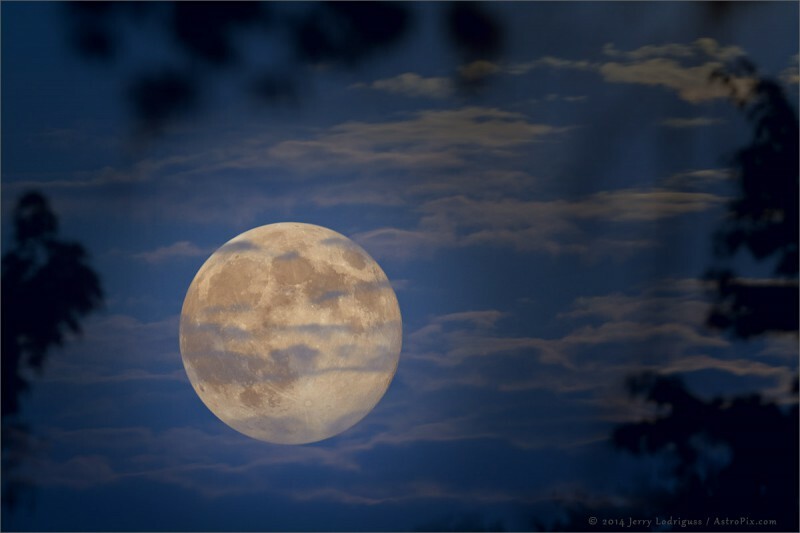 At a perigee distance of a mere 356,896 kilometers, August’s Full Moon was the closest, and so the largest and most super, of the three Full Moons nearest perigee in 2014 now popularly known as supermoons. But if you missed August’s super supermoon, the next not-quite-so supermoon will be September 8. Then, near the full lunar phase the Moon’s perigee will be a slightly more distant 358,387 kilometers. That’s only about 0.4 percent less super (farther and smaller) than the super supermoon.